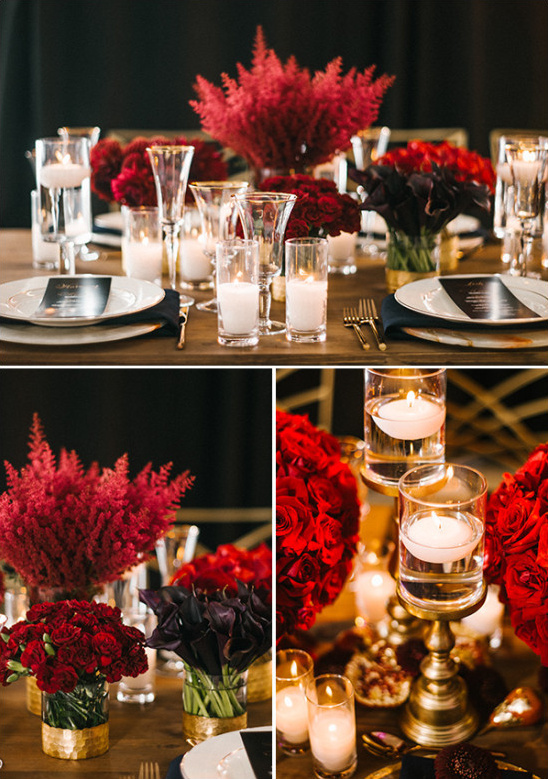 This beautiful shoot was inspired by the thought of a rich red and gold wedding during winter. 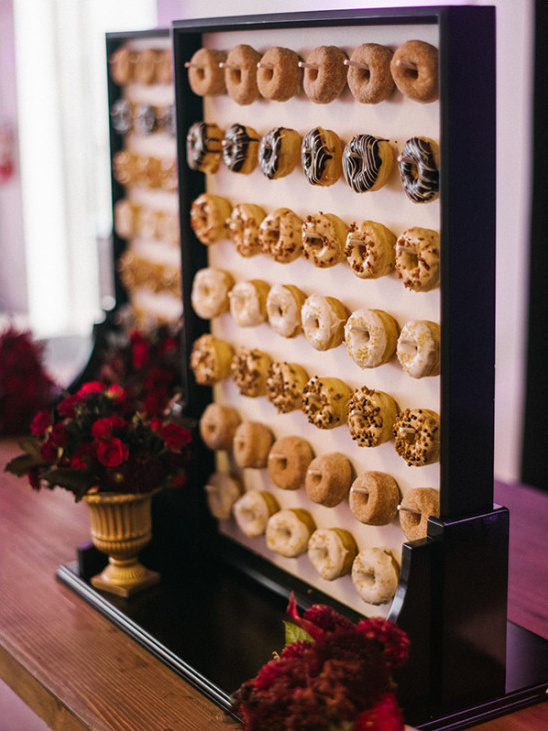 White is a popular wedding color, but using something richer creates a bold and warm feeling of passion. 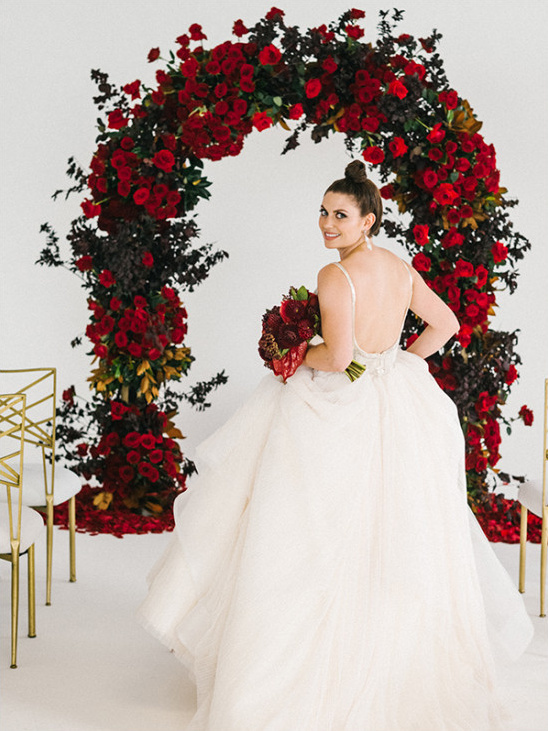 Every detail of this luxurious red and gold wedding inspiration is warm, simple, lush, and elegant, and very layered with texture and depth. 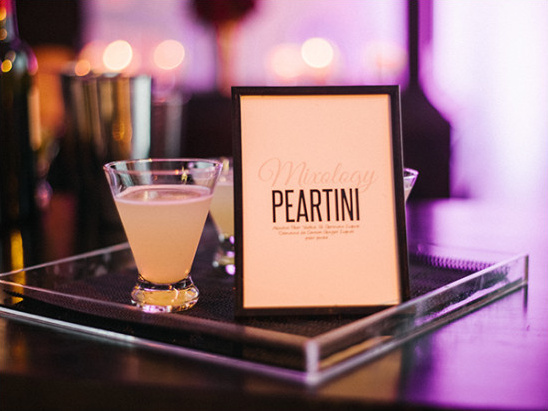 Don't take our word for it though, see for yourself in the full gallery here, photographed by Braedon Photography. 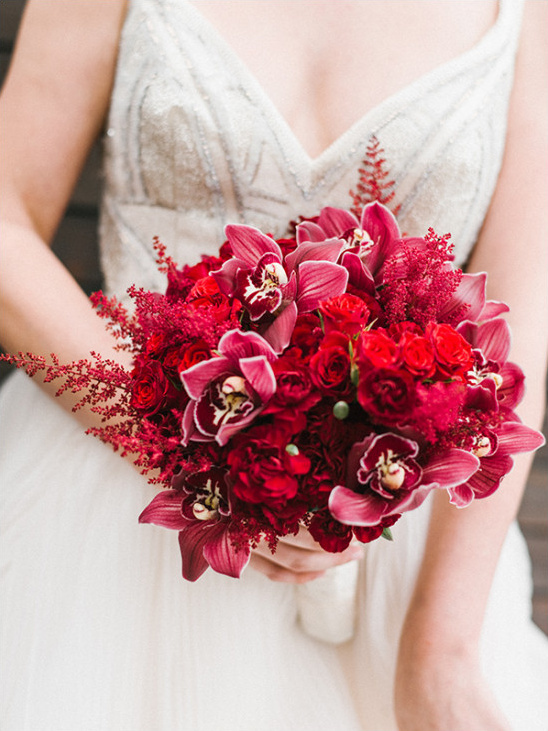 Flowers used: red roses, red carnations, burgundy dahila, burgundy gerbers, plum branches, magnolia leaves, black scabiosa, red anthurium, viburnum berries, burgundy cymbidium orchids, astilbe, spray roses, black calla lilies, and gold leafed pomegranates. 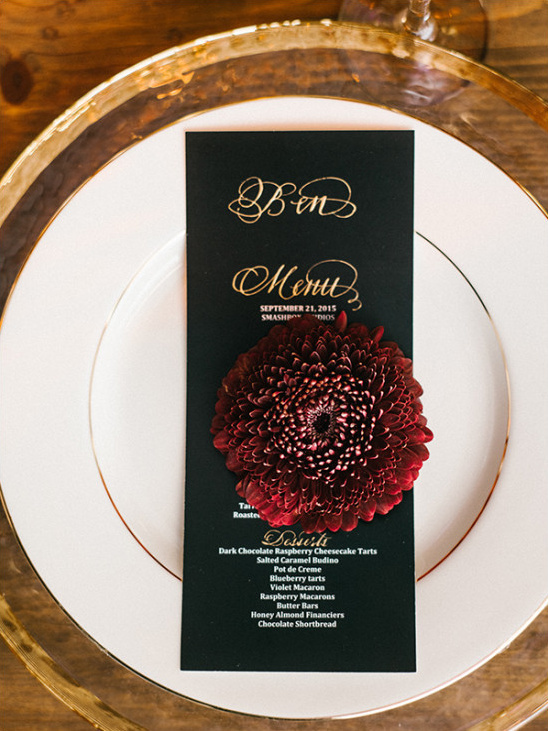 To design the tablescape, bridal bouquet and the blooming arch, I started with using rich red and velvety burgundy flowers. 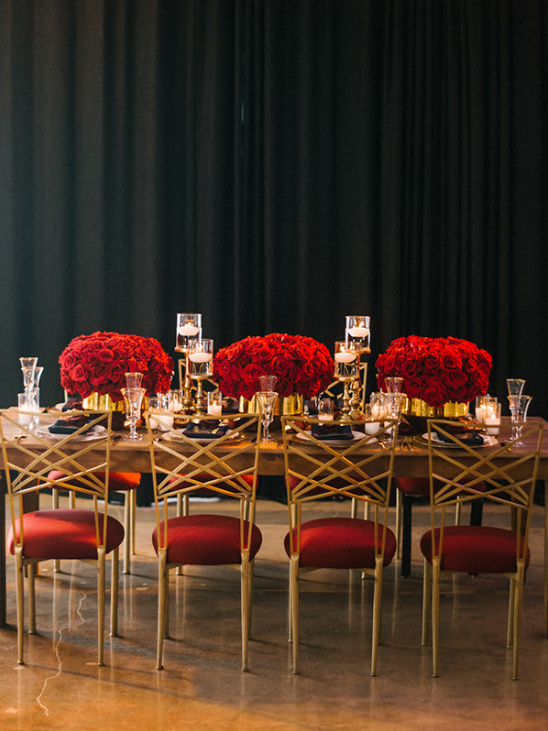 Of course adding touches of gold in the table accessories added to the layered look. 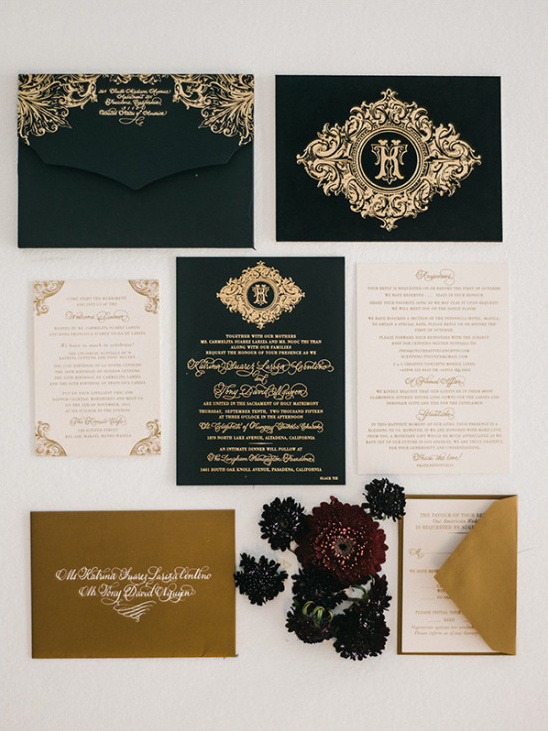 You can't ever have enough metallic during an elegant event. 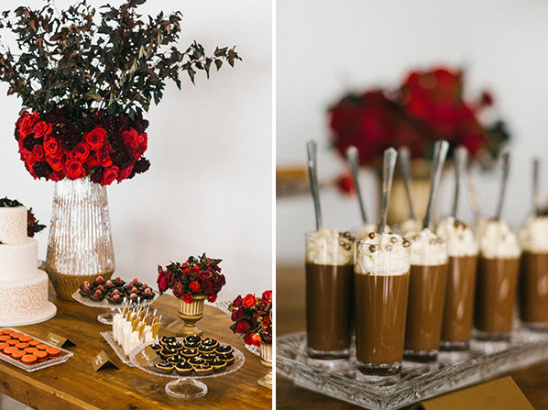 The farm table was perfect as it gave the neutral canvas a layered look of navy blue napkins, gold flatware and glassware with gold rimmed around the glasses, and of course a marble charger and gold rimmed chargers was just perfect. 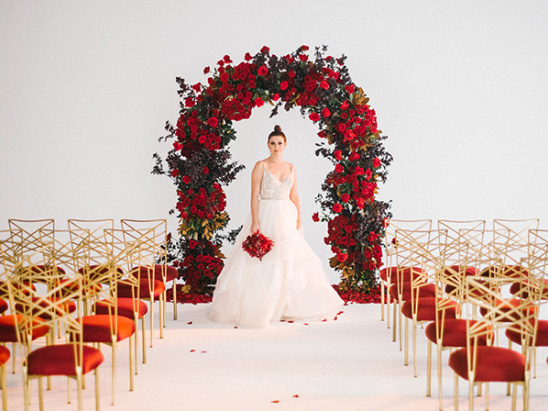 Then the flowers were chosen and made in two different styles - one a lush opulent red roses paved together with three arrangements going down the center. The other tablescape I used gold embedded textured vases in three different sizes with using different flowers grouped together in the of the vases giving in a clear and crisp lush look to keep the one to enjoy the whole table. 2 Splashes Simple Syrup Fill a shaker with ice cubes. Add all ingredients. Shake and strain into a chilled cocktail glass. 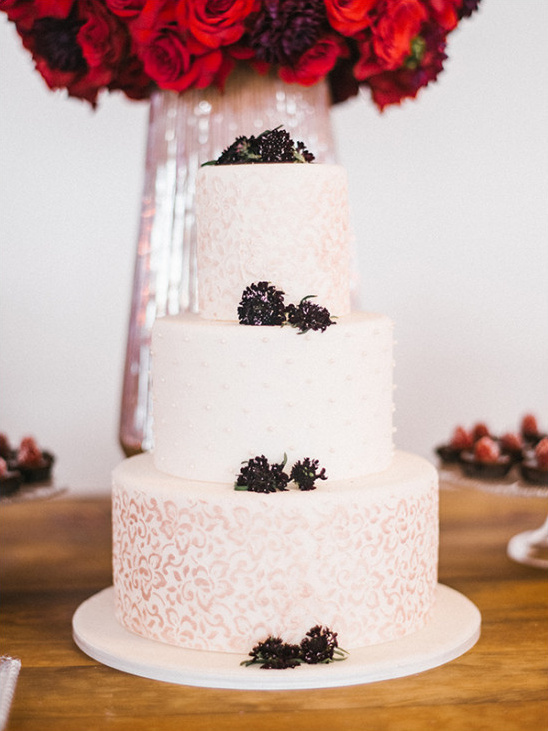 Watch the video of this sweet shoot below, filmed by Cloudless Weddings.